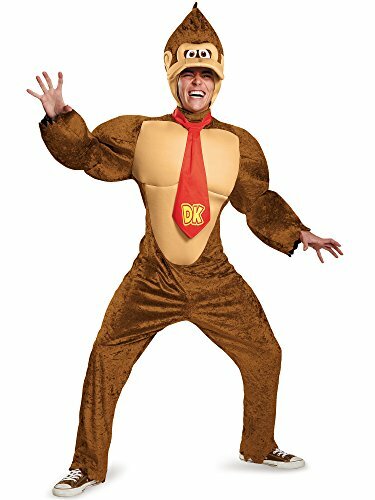 Become nintendo's grooviest gorilla in this awesome Donkey Kong deluxe costume, featuring a jumpsuit with muscle torso and arms, dk's signature red tie and an oversized plush character-accurate headpiece. If you have any questions about this product by Disguise, contact us by completing and submitting the form below. If you are looking for a specif part number, please include it with your message.